If you are an existing client with access to our secure client portal then login via the button above and view your portfolio, send us a secure and confidential message, or even download documents and update your details online! 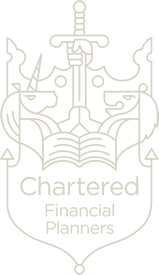 Chartered status enables individuals and firms to demonstrate their professional commitment to raising standards of knowledge, capability and ethical practice. It tells their customers that they can expect the highest quality of service. With increased FCA regulation, new distribution channels, intense competition and relentless media scrutiny, the insurance and financial services sector has had to raise its game. As we've been advising clients since 1987 on all aspects of Savings, Investments and Pensions, we have built up a significant client base of satisfied customers; in fact almost all of our new clients come to us by referral from existing clients or from fellow professional advisers - a fact we are proud of. Please browse our site and, if you like what you see and think we can help you or one of your clients, make contact - we’ll be delighted to hear from you! Roundhouse Financial Services (London) Limited © 2019 Roundhouse Financial Services (London) Limited is authorised and regulated by the Financial Conduct Authority. Our Firm reference Number is 766218. We are financial advisers providing investment advice. Investing means taking risks. The value of your invested money can drop as well as rise, and when you disinvest you may not get back what you put in.